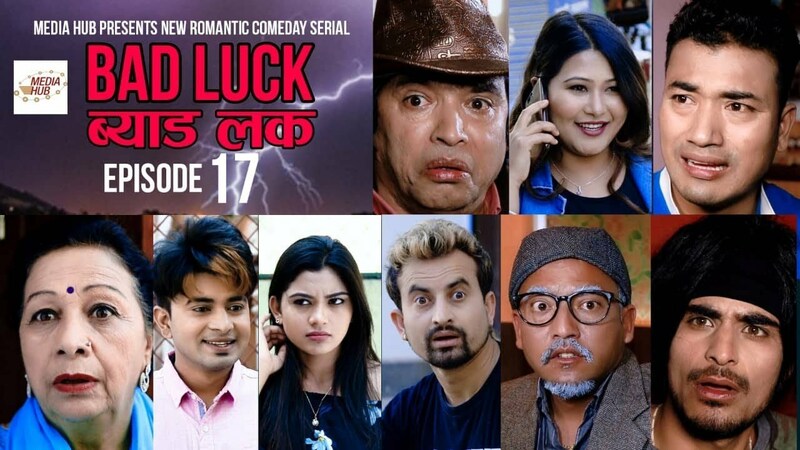 Bad Luck is one of the Romantic Nepali Comedy Serial. The main objective of this comedy serial is to make people aware.Sahin and Kushal have acted in the character of two siblings living in Kathmandu. This romantic comedy series represents many social issues on its episodes with educational comedy flavour. 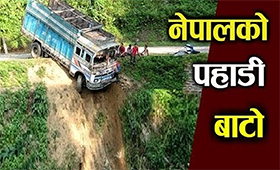 It is aired on Nepal Television at 8:45 PM and on YouTube at 9:30 PM every Sunday. This show is produced by Media Hub Pvt. Ltd. Production: Media Hub Pvt. Ltd. Production Advisor: Som Dhital, Director : Sahin Prajapati, Script Writer: Sahin / Kushal IT Officer And YouTube Manager: Suvash Pokhrel The main artists of this series are Sahin, Kushal, Amita, and Juna. Editor: Rabin Bhatta, Rajendra Manandhar, Graphic: Suvash Pokhrel, Camera: Dilip Bista / Bishal Sapkota, VFX : Repesh Khadka, Makeup: Sangita Chand, Transport: Max Pandey Artists: Sahin Prajapati, Kushal Bista, Sujit Thapa,Amita Chhantel, Juna Sundas, Laxmi Giri,Tara K.C, Bikalpa Adhakari, Shishir Aryal, Arjun Acharya, Dipendra Timilsina, Ubika Lakandari, Priya Shrestha, Ubika Thapa, Amisha Adhikari, Narayan Adhakari, Karnapriya and many more.